A basic training drill sergeant who allegedly fell asleep and lost control of a pickup truck during a road march in 2017 will face one count of dereliction of duty and two of negligent homicide at a court-martial beginning Monday, according to a Friday release from Fort Jackson, South Carolina. Staff Sgt. Andrew Marrow’s charges stem from an accident in October 2017, when he was towing a water trailer behind a group of rucking trainees when he accelerated unexpectedly, according to a safety incident report obtained by Army Times through a Freedom of Information Act request in October. Six of the soldiers were injured, and two died when they were pinned under the trailer. “Pvt. 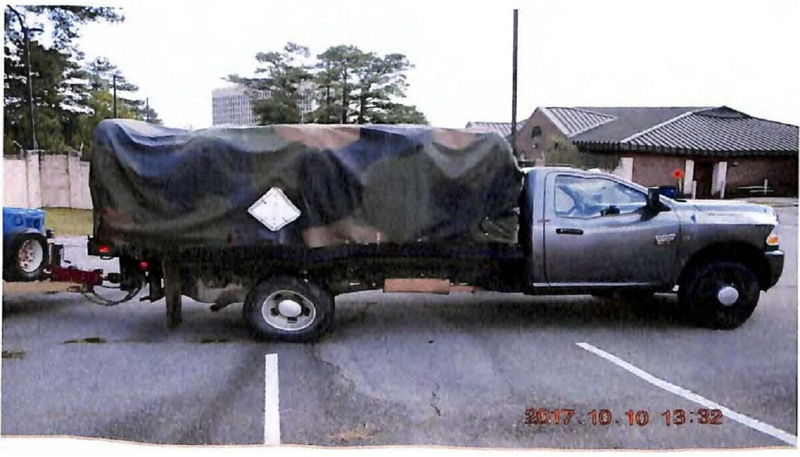 [redacted] realized the truck was driving through the formation, grabbed two other trainees, and pulled them away from the path of the truck,” according to the report. Pvts. Timothy Ashcraft and Ethan Shrader were pronounced dead after arriving at a local hospital. Six were hospitalized with broken bones and cuts, while one was permanently disabled. Marrow “negligently failed to remain awake while operating a vehicle, as it was his duty to do ...” according to a charge sheet provided to Army Times by Fort Jackson. “Charges are merely accusations and that the accused is presumed innocent until proven guilty,” spokeswoman Leslie Ann Sully said. The SIR found that while Marrow was well liked as a drill sergeant, he had been having some trouble at home, and more specifically, had worked late the night before the accident and had been back in formation at 5 a.m. for PT that morning.